Acquiring SEO and traffic to your Blog or Website using great content, titles, descriptions, and keywords etc. has always been a subtle yet powerful strategy in the Blogging community. Many new businesses and individuals don’t start off blogging or creating websites with the understanding of how SEO (Search Engine Optimization) works, or why it might be important to their success. In time… they learn. We all do. In my travels around the country teaching SEO, Blogging, and Social Networking, the one thing that is least talked about or questioned is the power of video and images. You hear “Content is King” but you won’t hear or learn that video and images are the most viewed and sought after items on the Internet. Could this be one of the reasons Google has links to them at the top of every search results page? 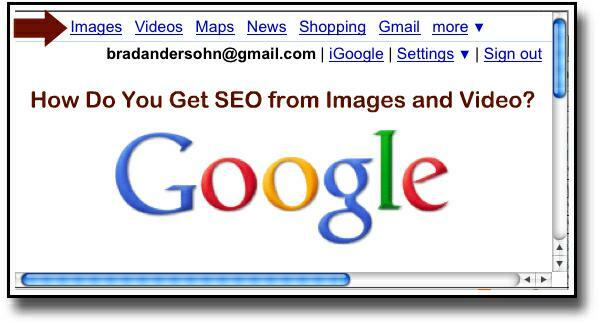 How do you get YOUR Video and Images to show at the Top of the Search Engine Results? Matt Cutts from Google explains a few ways you can accomplish this. He shares some great ideas and tips on using and adding meta-data and user generated content. The idea of using captioning in Video is brilliant! You provide the transcripts and youtube will auto-align the text. Creating captioning is easier than you may think, Matt and others do this on every video and I can show you how. Matt also shares some great ideas on how to use flickr, he gives some great examples and says “it’s almost like crowd sourcing!” Flickr has great SEO but you need to understand how to use tags, descriptions and some of the tips in this video will assist you in knowing how and why. If you create and use your own pictures, images, or video, and you want to get views, traffic, and ultimately generate leads and business, it’s important to know a few key things including the SEO tips Matt shares in this video. It’s also important to know that SEO isn’t the only key ingredient that gets your material found on the web. Apply the concept that “Content Is King” to images and video, along with these tips and you’ve won 90% of the battle.